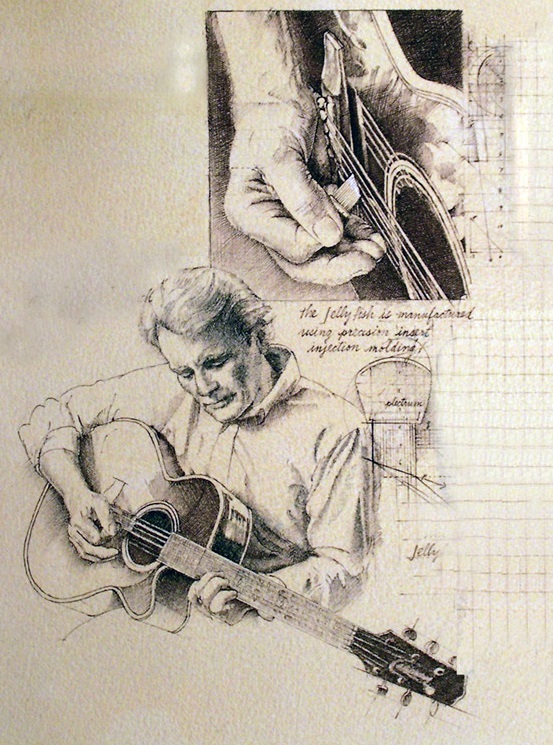 This piece was for a university publication that featured an innovative guitar pick designed by one of the esteemed alums. I never received copies of the publication, but do like the art. My husband John, an avid guitar player, posed with the newfangled pick, which he never quite adjusted to.